These are flying off the shelves in SASA and K-palette was having 20% off over there till 10th Oct. Furthermore, the more I played around with the tester, the more I was convinced to purchase it. Seriously, how I could I resist it!? 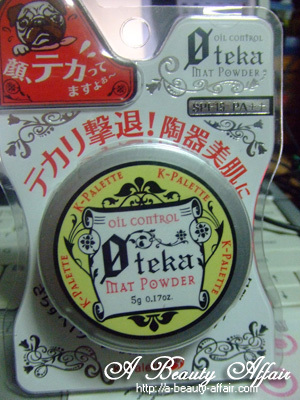 "Light-weight soft powder that helps to cover pores and absorb excessive sebum to control shine. The unique powder mix is formulated to diffuse the reflection of light to give you that matte, ceramic complexion all day long. Contains moisturizing ingredients, hyaluronic acid and collagen, to keep skin supple. Puff included." 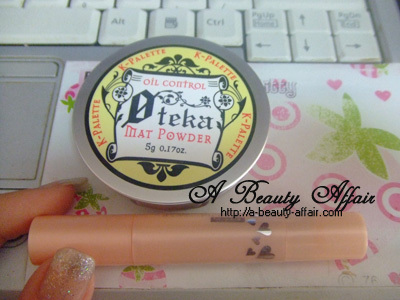 I adore the cutsey little packaging because it is so small and compact. I have alot of stuff in my makeup pouch and it's weighing my handbag down. So having smaller packaging really helps in a way to 'lighten my load'. See how it's width is even shorter than that of a lip balm! 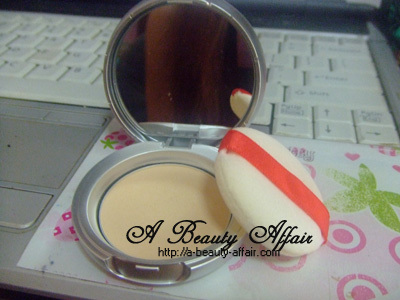 The powder is really fine and kind of translucent so it should suit most asian skin tones. I like how it feels on my skin because its so light, I am not worried that my pores will be clogged. I am even thinking of switching to this instead of using a 2-way foundation cake. But do note that this does not provide much coverage at all. And in regards to oil control, it works pretty fine on me. It could also be due to my Maybelline Angelfit makeup base which does have good oil control too. Where to get this at the lowest price? Hi, your best bet is probably LJ or blogshops that do pre-order or sell in-stocks but I do not know of any. 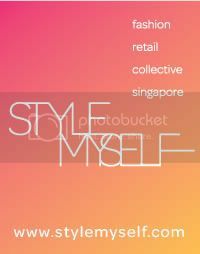 Else wait for SASA sales so that you can get it at 20% disc off. Try John little, saw that they have 20% off now!